Seven miles of hiking trails traverse bluff forestland and a restored prairie through this designated state nature preserve. Over 100 woodland bird species use the park as migrants, winter visitors or year-round inhabitants. Hikers often encounter the resident Wild Turkeys or hear Barred Owls calling in the distance. The nature centers bird feeding/watering station with a viewing window is always busy with Chickadees, Titmice, White-breasted Nuthatch and Downy Woodpecker, as well as warblers, vireos and other neotropical species, particularly during migrations. The Peoria Audubon Society meets here the first Wednesday of the month. They also host an annual Hummingbird Festival in August, a Bald Eagle event in January, and regularly schedule guided bird hikes, a great place for beginners to learn more about birding! 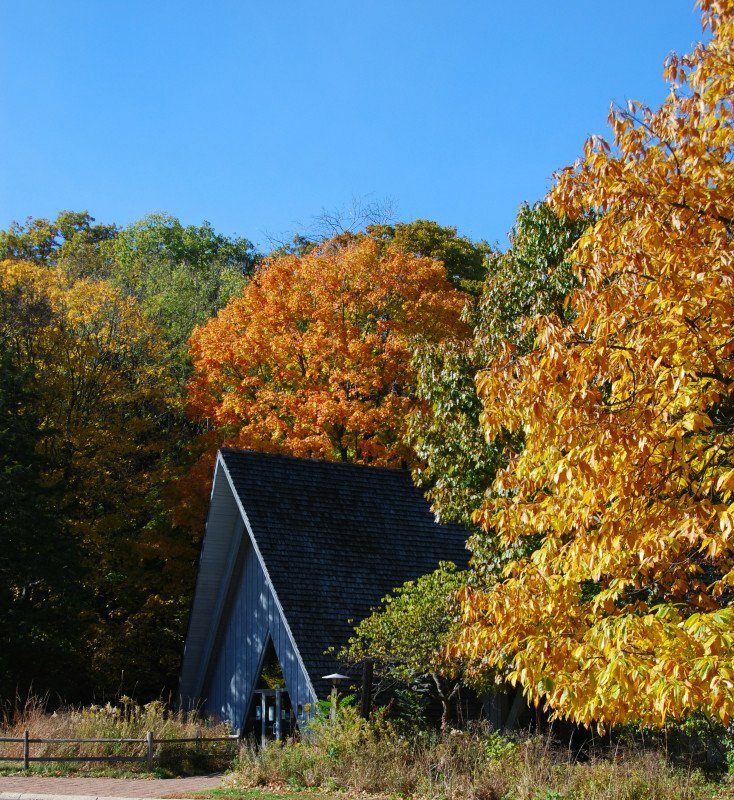 Please contact the nature center for a schedule of tours and environmental programs. Interpretive center open Mon-Fri 9am-5pm; Sun 1pm-5pm, year-round. Trailhead Nature Store located in the interpretive center is a great resource for nature books, bird feeders and other nature-related products.